UNITED NATIONS, March 4 -- "The United States for historical reasons has almost no economic relations with Iran," French Ambassador to the UN Gerard Araud said on Thursday night, explaining the U.S. push for sanctions on Tehran. In a dig at the U.S. position, Araud paraphrased a French philosopher, that "you are always ready to accept the sacrifice of your neighbor." Speaking under the high painted wood ceiling of his country's consulate across from Central Park, Araud said that because of the invasion of Iraq purportedly to find weapons of mass destruction, now the "legitimacy" of Russian and Chinese support is needed for the next moves on Iran. Araud urged against a "black and white" view, saying for example that "economic interests are good reason" for a country's position. Araud said the the UN is only a player where no one else wants to go. In the "Middle East conflict, the UN is hardly doing anything," he said. He was France's Ambassador to Israel. "If and when there is a peace process," he continued, the UN will be called in to provide the legitimacy of a Security Council vote, he said. Until then it can continue its humanitarian work in Gaza. 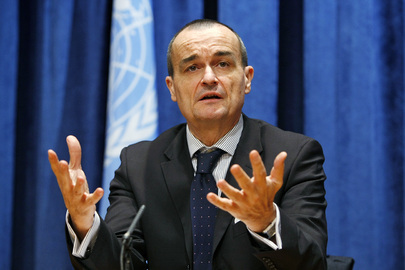 Inner City Press asked Araud to assess the the action or non-action of the UN, specifically the Secretariat of Ban Ki-moon, on the slaughter of civilians in Sri Lanka in 2009. You know the reason, Araud said, in a manner that more than one observer later described as angry. "The Secretary General can't go against member states" which did not want to intervene. But a UN Secretary General is not entire the slave of the member states: he or she has an independent moral duty and diplomatic role. And if Ban Ki-moon couldn't do anything, why did he travel to Sri Lanka and then issue proclamations that he would follow up on accountability for war crimes, and reconciliation? Araud said that there was a sense of relief that the Sri Lankan government killed off the LTTE. The price for civilians was high, he said, perhaps too high. Araud was speaking, refreshingly candidly, after his country's consulate's screening of a pro-UN documentary by French filmmaker Romuald Sciora. As it turned out, Inner City Press has already seen and reviewed the film, Planet UN, click here for the review. But after this screening, James Traub lobbed questions to Araud and Sciora. 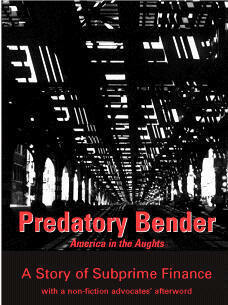 When Inner City Press asked about Sri Lanka, Sciora merely said that he "agrees with Ambassador Araud." 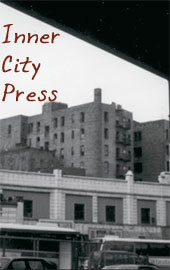 Afterwards, Sciora told Inner City Press that the book version of Planet UN is more nuanced. His introduction begins with a day in 2003 he spent with UN official Staffan de Mistura, most recent named top UN envoy to Afghanistan. Earlier on Thursday de Mistura complained loudly at the stakeout in front of the Security Council about Press coverage of his hiring of the Secretary General's son in law, and the role his may have played in the Secretary General naming him to the Kabul post. 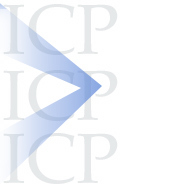 Inner City Press asked the UN spokesman if de Mistura could come to answer questions on the record later on Thursday. No, was the answer, he would not be answering questions. And from Planet UN, so it goes. UNITED NATIONS, March 2 -- Russia's Ambassador to the UN Vitaly Churkin, in an increasingly rare on the record session with the Press, trashed the UN's "semi-transparent" memorandum of understanding with NATO while praising the "CIS Symphonic Orchestra" and a road safety resolution sponsored by the Russian Federation. Since he's called the MOU "semi-transparent," Inner City Press asked Ambassador Churkin if he had seen the whole agreement and if so, why not release it? 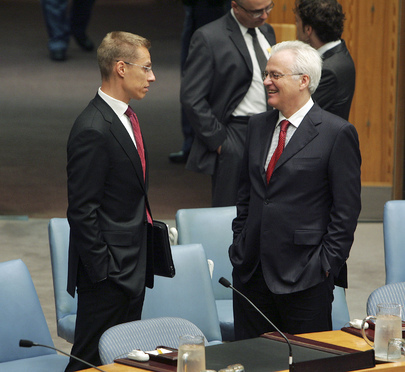 Churkin laughed. "You underestimate our persistence here," he said, adding that Russia saw the MOU the day it was signed. Video here, from Minute 23:09. His complaint, he said, was the NATO's Secretary General has been misrepresenting this "modest document... out of proportion," most recently at the Munich Conference. Churkin said Russia had been "unpleasantly surprised at the way it was done." It was done under UN Secretary General Ban Ki-moon. Inner City Press asked Churkin about Mr. Ban's naming of Finland's Antti Turunen as his Representative for Georgia, replacing Johan Verbeke of Belgium -- does this mean that Georgia is still on the Security Council agenda? "Technically it is," Churkin replied. He said that Turunen will represent the UN at the Geneva talks, and that his appointment has the subject of a letter of information from Mr. Ban to the President of the Security Council which didn't require a reply. On road safety, earlier on Tuesday Inner City Press asked WHO's Etienne Krug, does the drive for better roads simply lead to more driving and pollution? Inner City Press asked -- video here, from Minute 8:39 -- but Krug said that the UN is also in favor of more and safer public transportation. Inner City Press also asked about the UN's own drive practices. Krug said that road accidents are the leading cause of death of UN staff worldwide, and that the UN should improve its practices. But will it?